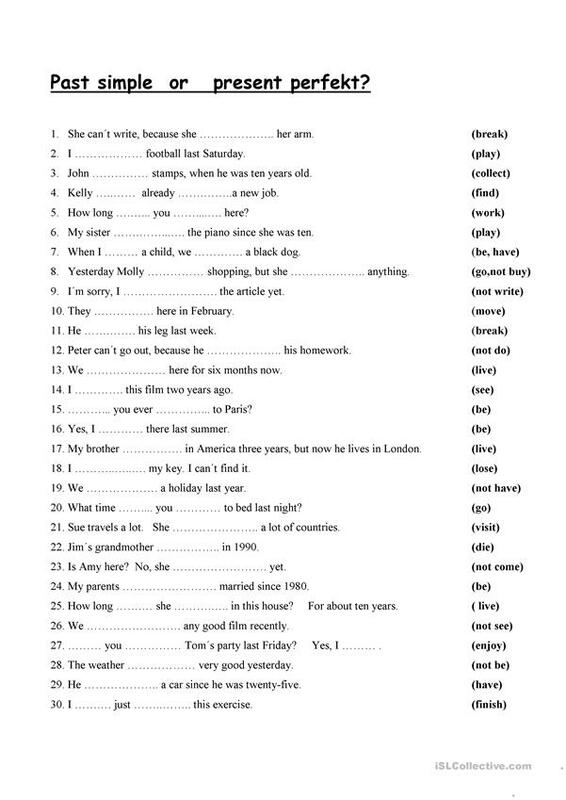 Grammar exercise to practise past vs present perfect tenses. The present printable, downloadable handout is a great resource for high school students, elementary school students and adults at Elementary (A1) and Pre-intermediate (A2) level. It is valuable for practising Present perfect or past simple tense in English.